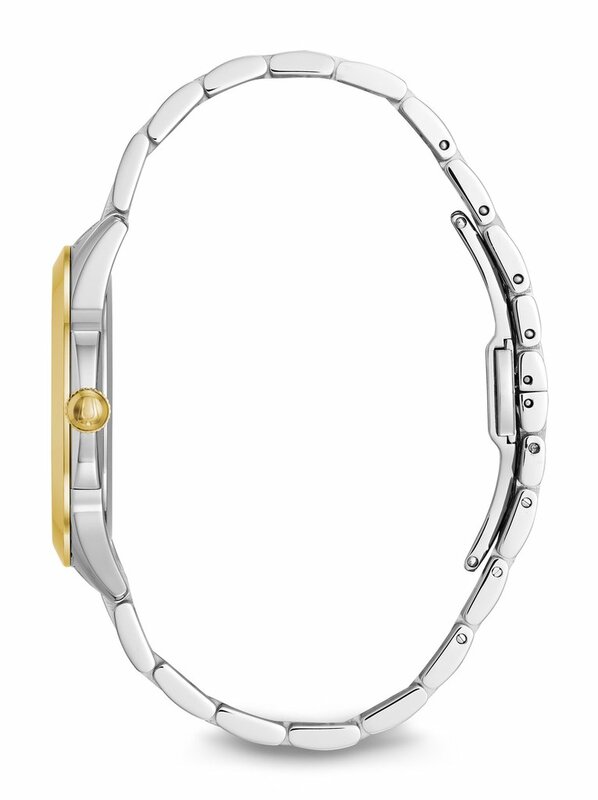 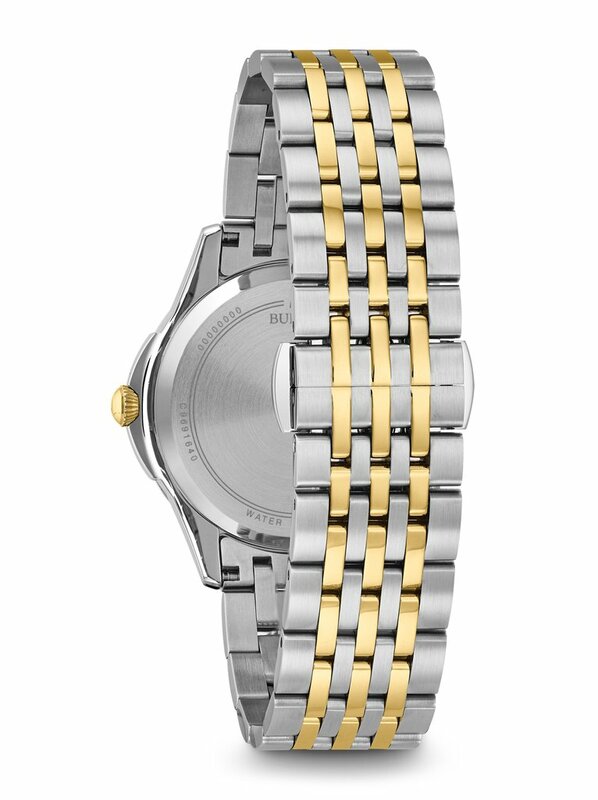 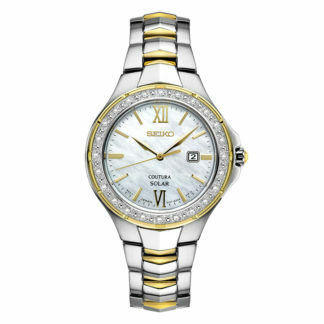 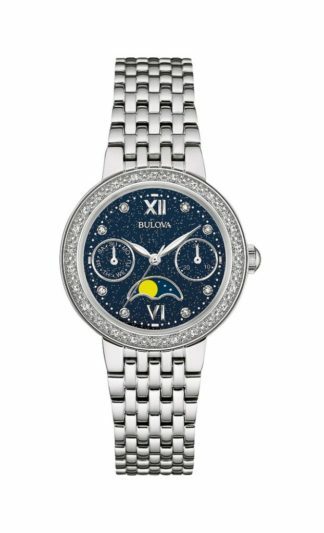 Bulova Women's Diamond Watch 98P161 from the Ladies’ Diamonds Collection. 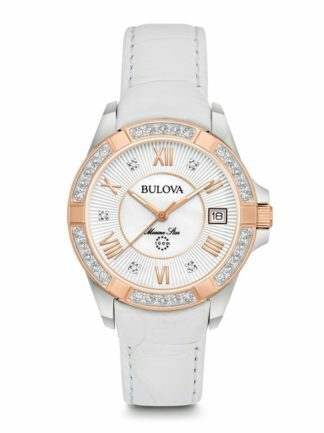 Stainless steel case with gold-tone accents, 12 diamonds individually hand set on white mother-of-pearl dial, flat mineral glass, stainless steel and gold-tone bracelet with deployant closure. 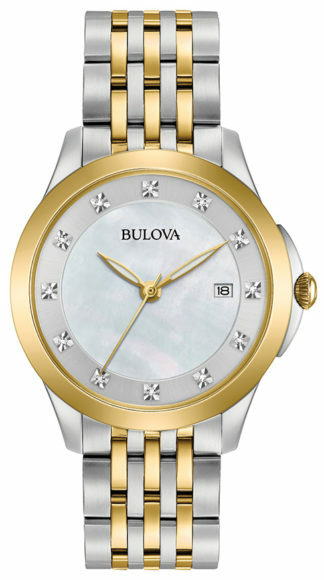 Bulova Women’s Diamond Watch 98P161 from the Ladies’ Diamonds Collection. Stainless steel case with gold-tone accents, 12 diamonds individually hand set on white mother-of-pearl dial, flat mineral glass, stainless steel and gold-tone bracelet with deployant closure.